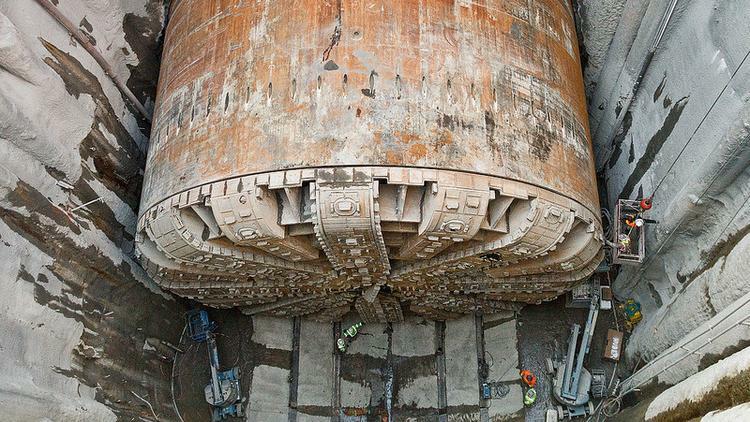 Seattle Tunnel Partners began attaching a new and redesigned seal system to Bertha this week. It’s the first step in repairing the massive tunnel-boring machine (nicknamed Bertha, after the Bertha Knight Landes, the first woman mayor of Seattle) so it can go back underground and resume digging. Hitachi Zosen, the company that built the massive tunnel-boring machine, sent the inner part of the new seal system from Japan in October. Last week, the outer portion of the seal system arrived and installation began Friday. After Bertha was shut down in December 2013, crews discovered the seals that keep out dirt and grit had been damaged. Then, they had to dig a 120-foot-deep access pit to get the parts out to be replaced. The new seal system should be easier to access in case things go wrong again. STP is supposed to announce a new timeline and estimated completion date for the Alaskan Way Viaduct Replacement Program sometime this month. The $3.1 billion project is almost two years behind schedule. Because the machine shut down after traveling fewer than 1,500 feet into the nearly 2-mile-long tunnel, Hitachi Zosen is still on the hook for replacing the parts and making sure the machine can function properly. 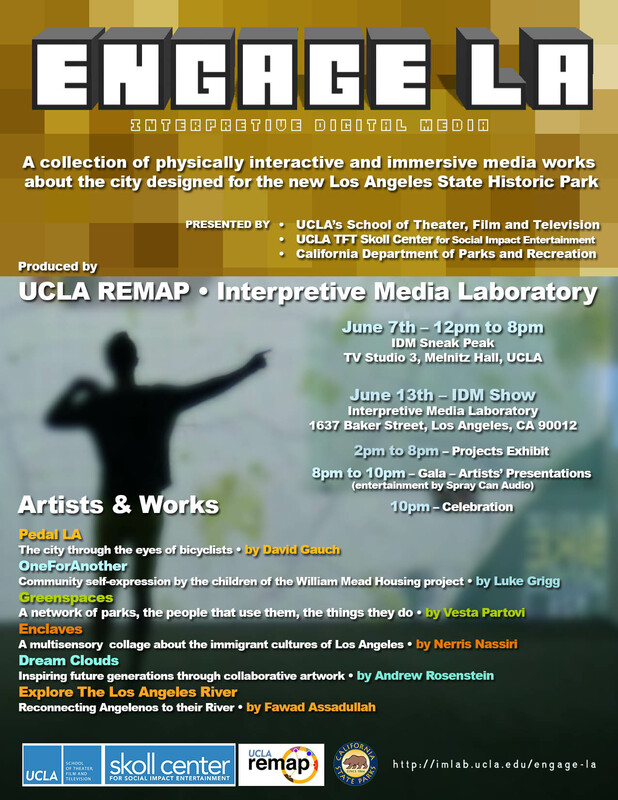 View the presentation online via live webcast on June 20 between at 11 a.m. - 4 p.m. at ustream.tv/channel/sr-710-study . 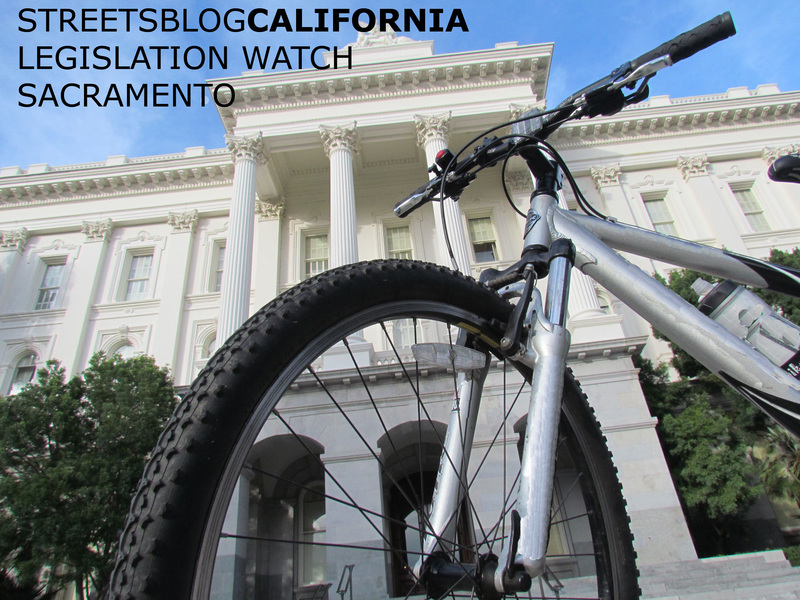 This week Sacramento saw long hearings in the Senate and Assembly, as both houses pushed to meet their deadline to pass bills. Any bill that doesn’t pass its house of origin by the end of this week is dead–for this year at least. Herein, our highly selective look at this week’s activities in the California legislature. The big news was the package of climate change bills that passed the Senate. Included was S.B. 350, the “Golden State Standards” that would set statewide goals to reduce fossil fuel consumption, increase renewable energy, and increase energy efficiency. The discussion on the floor was entertaining, if you like dramatic posturing. Senator Bob Huff (R-San Dimas) decried the bill as a job killer that would create “coastal elite winners” and “poor inland losers,” condemning it as market manipulation. “This country is great because we haven’t picked winners and losers, we’ve let the market decide,” he railed–ignoring the bill’s language, which sets goals but doesn’t regulate specific market interventions. The bill’s author, Senate President ProTem Kevin De Leon (D-Los Angeles), responded with a passionate closing speech on current market inequities, citing a recent IMF report on subsidies to oil industries [PDF]. He called the mystery of why fuel prices rise on busy holidays “one of the great conundrums of the world,” comparable to the Bermuda Triangle and Roswell. In the end the bill passed on a party-line vote, and now goes to the Assembly. S.B. 9 from Senator Jim Beall (D-Santa Clara) would remove operations funding from the Transit and Intercity Rail Capital Program category of cap-and-trade funds and allow them to be used only for large capital projects. Beall claims that large projects would bring larger greenhouse gas reductions—and it would also make it easier to extend BART to his district. S.B. 32 from Senator Fran Pavley (D-Agoura Hills) would extend the emissions limits of California’s Global Warming Solutions act to 2050. S.B. 64 from Senator Carol Liu (D-La Canada/Flintridge) calls for the California Transportation Plan to be “action-oriented” and produce pragmatic recommendation for further greenhouse gas emission reductions in the transportation sector. Other bills in the package call for developing climate adaptation plans, providing technical assistance to disadvantaged communities, creating a committee to ensure the growth of California clean energy jobs, and more. The package is summarized here. Most of the bills we’ve been tracking on bicycle issues [PDF] had already moved on and are in the committee process in their second house, with the exception of Carol Liu’s helmet bill. No longer a mandatory helmet use bill, it had become a call to study helmet use. But S.B. 192 got stuck in the Appropriations Committee, which means that it will go no further this year. The committee believed that the study would cost the state more than $150,000, so put it in the “suspense file,” where many bills die unless they can find a way to fund themselves or somehow convince legislators their costs are necessary. In this case, it’s possible the helmet study bill could be resurrected next year—but it’s not clear why a study would need to be required by law. Why not just fund it? A.B. 8 from Assemblymember Mike Gatto (D-Los Angeles), which would create a “yellow alert” to help authorities find hit-and-run perpetrators, has sailed through the Assembly. Meanwhile, Assemblymember Eric Linder (R-Corona) pushed A.B. 534, which would have required a mandatory non-negotiable six-month license suspension in hit-and-run convictions, but it failed to pass its committee. A.B. 194 from Jim Frazier (D-Oakley) would make it easier to convert carpool lanes to toll lanes, known as HOT (High-Occupancy Toll) lanes, passed the Assembly this week. A.B. 744 from Assemblymember Ed Chau (D-Monterey Park) would prohibit local jurisdictions from imposing minimum parking requirements when a developer requests a lower parking ratio for low-income housing located near transit. This would allow the market to decide what parking is needed, and reduce the cost of low-income housing by reducing the amount of parking built. See earlier coverage here and here. This bill passed the Assembly and now awaits committee assignment in the Senate. A.B. 779 from Assemblymember Cristina Garcia (D-Bell Gardens) is an attack on last session’s S.B. 743, which phases out use of the car-centric Level of Service (LOS) measure under CEQA. This bill tried several ways to undercut the proposed use of Vehicle Miles Traveled as a substitute for LOS, but has been reduced to a delay in those reforms–when they haven’t even been completely formulated yet (see our coverage here). Unfortunately, it passed the Assembly this week. S.B. 461 from Senator Ed Hernandez (D-West Covina) would give L.A. County jurisdiction over the part of State Highway 164, which is Rosemead Blvd, through the Whittier Narrows Recreational Area in the San Gabriel Valley. Bills like this are necessary for cities and counties to take charge of the design and management of highways that have been under the control of Caltrans. S.B. 461 would allow local cities to extend the protected bike lanes along Rosemead Blvd from Temple City south through Rosemead and South El Monte. The ultimate goal is a protected bikeway from the San Gabriel Mountains to the San Gabriel River multi-use path. The bill passed the Senate this week.